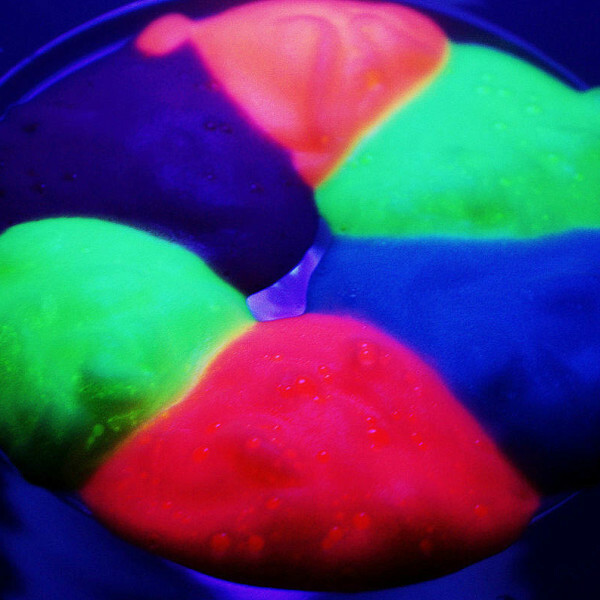 AfterDark Color Foam Concentrate produces foam that fluoresces (glows) under ultra violet lighting. 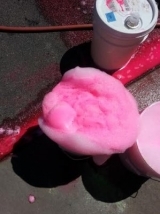 Our foam concentrate can be used with all foam machines. 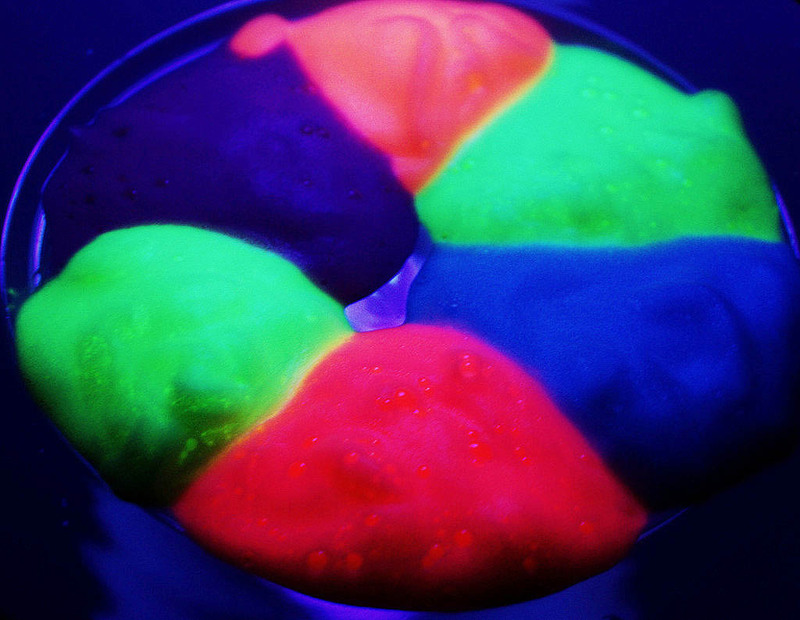 Under normal daylight, the foam colors are bright neon. Our concentrate is made with non-toxic pigments and designed to be used in conjunction with your favorite foam solution. Usage instructions are simple. Simply add water and foam solution to foam colorant and agitate using a paint paddle. Paint paddles can be purchased at any big box store. 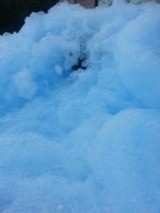 Foam Concentrate Ratio – One (1) gallon of color foam concentrate to forty (40) gallons of water. 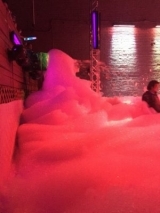 Follow your foam solutions directions supplied by your foam solution vendor. It is recommended to pour the foam color concentrate into your tank and then add water and foam solution and agitate using a paint paddle. Note: Please be sure to take steps for easy cleanup after event. 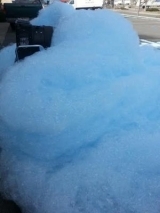 Color foam may stain clothes. 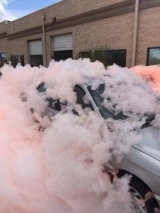 Clean up should occur as soon as possible after event. Power washers and de-greaser detergent make cleanup easier. Color will eventually fade and disappear on tarmac and cement areas. 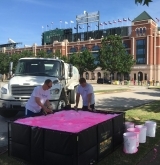 Large events will generally setup up portable holding tanks for the color foam solution mixture. If your setup is the day before your event, please make sure to agitate the holding tank with paint paddles to redistribute the color at least one hour before usage. Quantity discounts will show in cart. 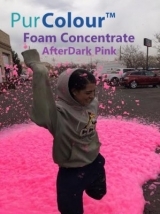 Be the first to review “AfterDark Foam Concentrate | 1 Gallon” Click here to cancel reply.